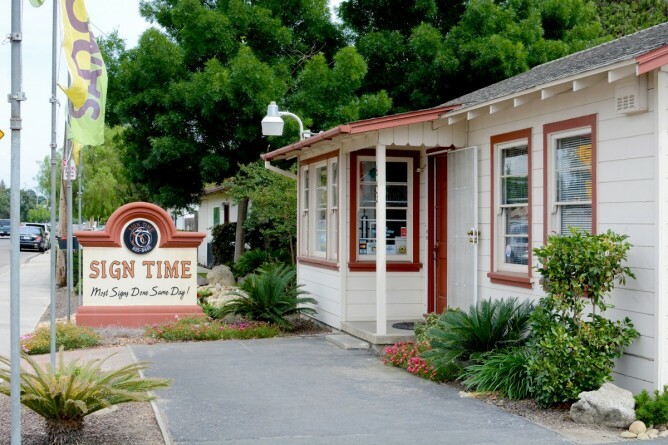 My husband, Rick, and I along with my brother-in-law, Dennis, opened Sign Time on August 10, 1993. Rick and I have been business owners since 1980 and we know how important location and customer service are to any business. We have been at the same great location for over 25 years. We also take great pride in the fact that our business has grown in a large part due to the interest we take in each and every one of our customers. We always strive to give each one of our customers the kind of customer service that we expect to receive ourselves. We go above and beyond to make quality signs guaranteed to give the message and the results you want. We include simple designs at no charge with any order and offer more complex designs at very reasonable prices. We hope that you will give us the pleasure of helping you with your next sign!